A call for nominations for the appointment of a new poet laureate is open. Governor Phil Scott and the Vermont Arts Council invite you to submit your nomination by April 25, 2019. The poet laureate serves as Vermont’s ambassador for the art of poetry and is called upon to participate in official ceremonies and readings within Vermont and nationally. This is an honorary position, appointed by the governor based on the recommendation of a distinguished panel of judges. Poets laureate are chosen every four years. 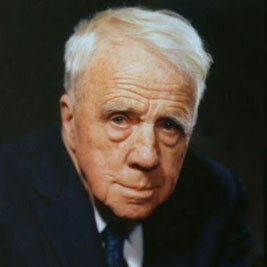 Robert Frost (pictured) was originally declared poet laureate in 1961; in 1988 Governor Madeline Kunin re-established the position. Chard deNiord of Westminster West is the current appointee (read his reflection on being poet laureate here) and will remain in that position until the new one is named for the next four-year term. Poets Sydney Lea, Ruth Stone, Grace Paley, Ellen Bryant Voigt, Louise Glück, and Galway Kinnell have also held the post. The nominated poet must agree to participate from time to time in official ceremonies, events, and/or readings within Vermont and, as appropriate, to share poetry with a broad audience. The poet selected shall receive an honorarium of $1,000 provided by the Vermont Arts Council. The deadline for nominations is April 25, 2019. Nominations will be reviewed in the spring and summer with an appointment ceremony anticipated in late 2019. Alternative formats are available upon request. Questions regarding nominations should be directed to: Michele Bailey, senior program manager. She can be reached by calling 802.828.3294 (voice and relay calls welcome) or by sending an email to Michele Bailey. Michele is also the Council’s 504/ADA coordinator. Please inform her of any specific accommodations you may need to facilitate your participation in the nomination process.